I’ve done 5 scarves from all the color samples. The toughest thing was combining the colors so each scarf showed off it’s colors. The project started as a dye sample project, not a finished product project so I had a real challenge in pulling the colors togeather so they did not clash. BUT I did find out the minimum amount I needed to get great colors so next year I’ll plan bigger skeins. Drought in Texas Hill Country continues – dyepots on hold! We are in a mean drought right now and I’ve put my dyeing on hold. I’m continuing to pick my Cota Navajo Tea and dry it. After a heavy dew I am gathering lichen and will soak it in ammonia to pull the color. I do have the Japanese Indigo leaves coming in and will run one more dyepot with the leaves that will provide me with a blue. It is a use it or lose it with the indigo and I’ve already invested water into those plants. But other than drying lichen and cota and gathering acorns, lichen and oak galls , the dyepot is on hold. The rain water cistern is down to half full. We’ve switched over to the well and watching the tropics for rain! The Texas Hill Country needs a tropical storm or baby hurricane to help lift water tables and refill lakes. For now, the dyepots are quiet until the thunder booms. THINK RAIN! Here is the Hopi Sunflower color. From left to right: sunflower seed simmered and held overnight to soak, strained and silk added, middle skein is Hopi sunflower with iron, third skein is exhaust dyebath. 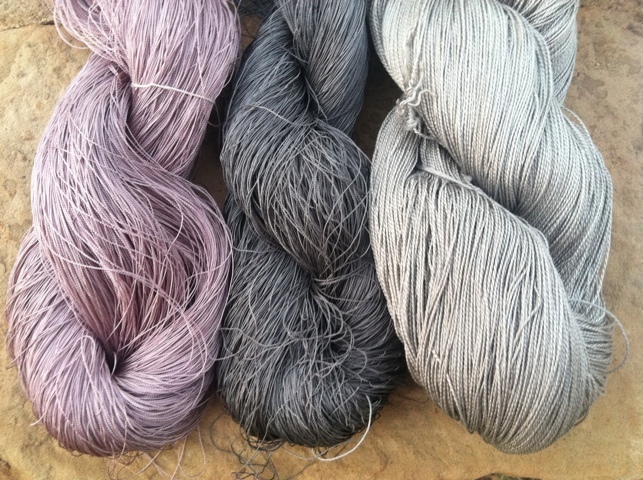 All silk skeins are mordanted in alum sulfate. 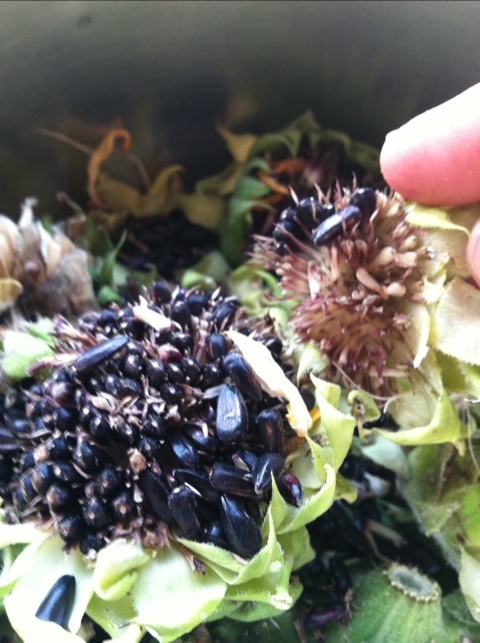 Prepping the seed and flowerheads for the dyepot.